All the disciples knew their Bible, but they had not grasped that it was all about Jesus and God’s saving power revealed through Him—that all the Law of Moses, the Prophets, and the Psalms reveal the good news of Jesus Christ. Once the disciples came to recognize this truth, Matthew takes it most seriously. He writes his Gospel with the premise that Jesus is the fulfillment of Jewish Scriptures. The Law, the Prophets and the Psalms contain prophecies about Jesus—prophecies in the form of promises about what Jesus would accomplish through His perfect life, perfect death and perfect resurrection. Journey with the author through the book of Matthew, and you will discover that all the Law, the Prophets and the Psalms are all about Him! 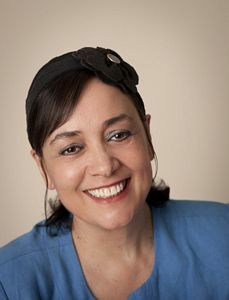 Elizabeth Talbot, Ph.D, is the speaker/director for the Jesus101 Biblical Institute, a teaching/training media ministry of the North American Division of the Seventh-day Adventist Church. She has a PhD in biblical studies, and travels throughout the United States and internationally as a lecturer and revival/motivational speaker. Elizabeth is regularly featured on Hope Channel and Esperanza TV, 3ABN Latino, LLBN, ROKU (Jesus 101 channel), as well as several international TV channels and other social media venues, in addition to radio stations throughout the United States and Canada. Married to Patrick Talbot, MFT.